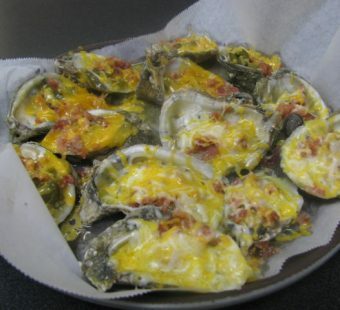 Dozen Fresh Baked Apalachicola Oysters topped with Butter Sauce and your choice of three toppings. 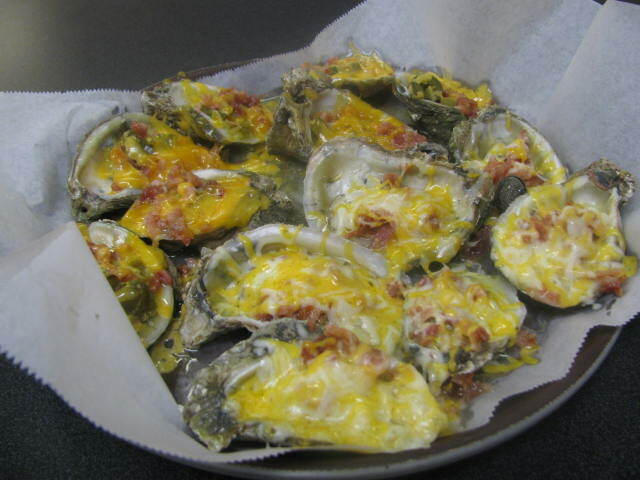 ∗Warning: There is a risk associated with consuming raw oysters: If you have and illness of the liver, stomach, blood or if you have an immune disorder, you are at greater risk of serious illness from raw oysters and should only eat oysters fully cooked. If you are unsure of your risk, consult a physician.